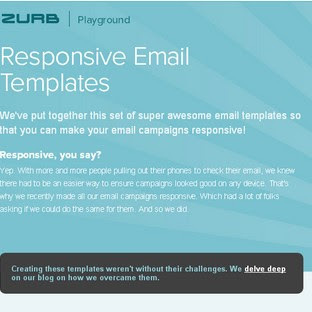 ZURB has put together this set of super awesome responsive email templates so that you can make your email campaigns responsive. With more and more people pulling out their phones to check their email, there had to be an easier way to ensure campaigns looked good on any device. That’s why ZURB recently made all their email campaigns responsive and shared with us.